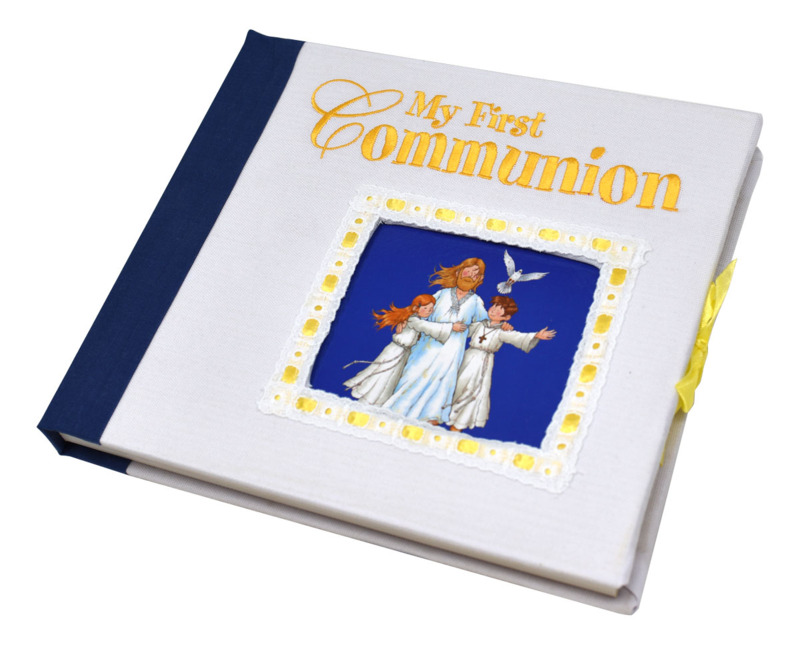 My First Communion from Catholic Book Publishing is an album that will help a child remember the first time he or she receives the Eucharist. This lovely keepsake album provides space to record memories of the people, prayers, reflections, photos, mementos, and activities leading to and celebrating the child's First Communion Day. My First Communion is beautifully bound in special, durable Keepsake Treasury binding and comes packaged in a slipcase for years of enjoyment.